Patrick Bonnett, CEO of Omaha based Encore Financial Services, Inc., and head of a Tea Party group calling itself the “Omaha Liberty Project,” has launched a petition drive to overturn the city’s recently approved legal protections for LGBT residents. “We’re confident we’ll get the signatures fairly rapidly,” Bonnett told the Omaha World Herald. is and whose group is sponsoring training sessions for petition volunteers, and signature gathering efforts have begun within some area congregations. “After that, we’ll probably take our time to validate the signatures that we know we have and give the city and county governments time to get through the fall presidential election,” Bonnett said. The Omaha Liberty Project is aided in the effort by the organization “Christian Couples Fellowship International,” who’s President sits on the board of The Nebraska Family Council which in turn is affiliated with anti-gay group Focus on the Family. 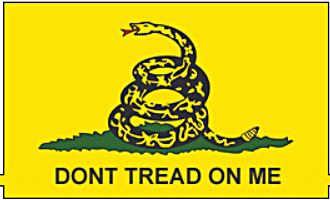 Their motto should be: Don’t Tread On Me I’m Busy Treading On Others.